New Construction By George Tomas Homes! Our Popular Brenson Plan: 4 Bedrooms/2.5 Baths. 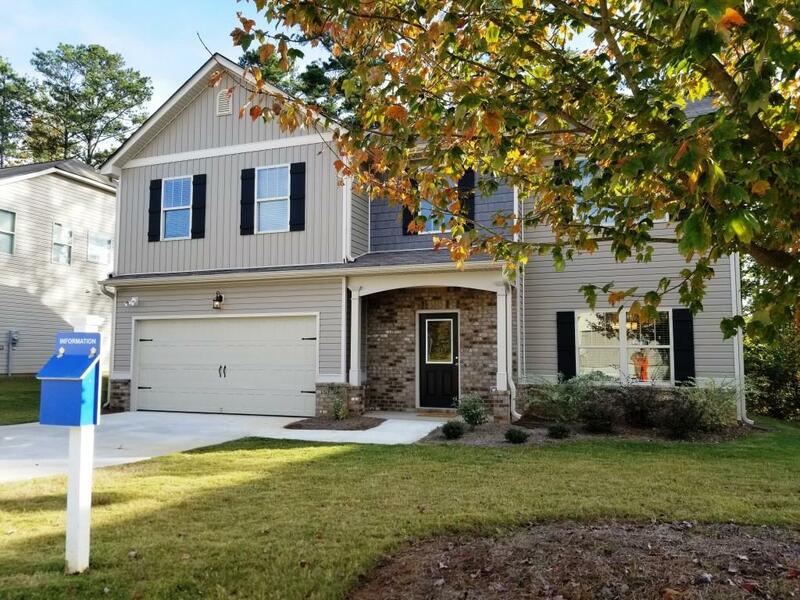 Open Plan With Huge Kitchen, Executive Trim Package, Breakfast Room, Island, Granite Countertops, Tile Backsplash, Stainless Appliances (refrigerator, dishwasher, smooth-top stove/oven & microwave), Separate Dining Room & 9' Ceiling On Main. Spacious Bedrooms. Large Master Bath With Double Sink Vanity, Separate Water Closet, Linen Closet & Huge Walk-In Closet. Directions: West On Dallas Hwy (Turns Into Charles Hardy Pkwy) Towards 278, Pass Macland Road, Turn Left Onto Stephens Mill Drive (Just Before Woodstock Furniture Outlet) Into "springfield".